The harbor region wants to promote the existing tourism industry as well as increase the efficiency of the transportation. Four layers of transportation and activities information are layered in three transmitting display screen, changing every 8 seconds. 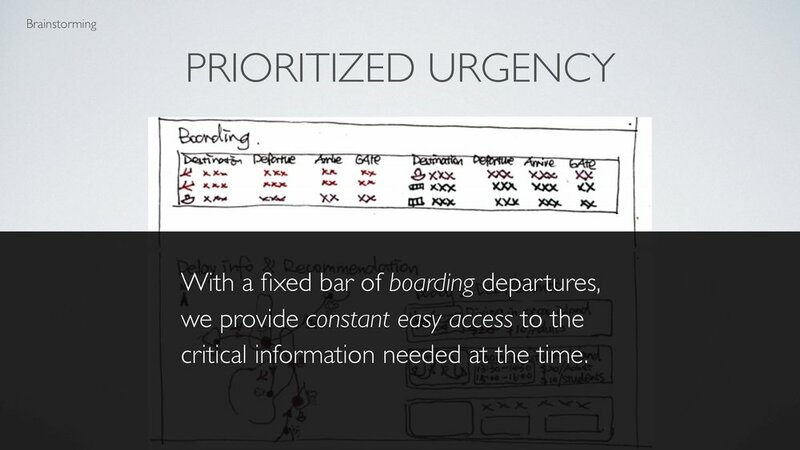 The most urgent boarding information is always on the top sections with local animation that reminds users. 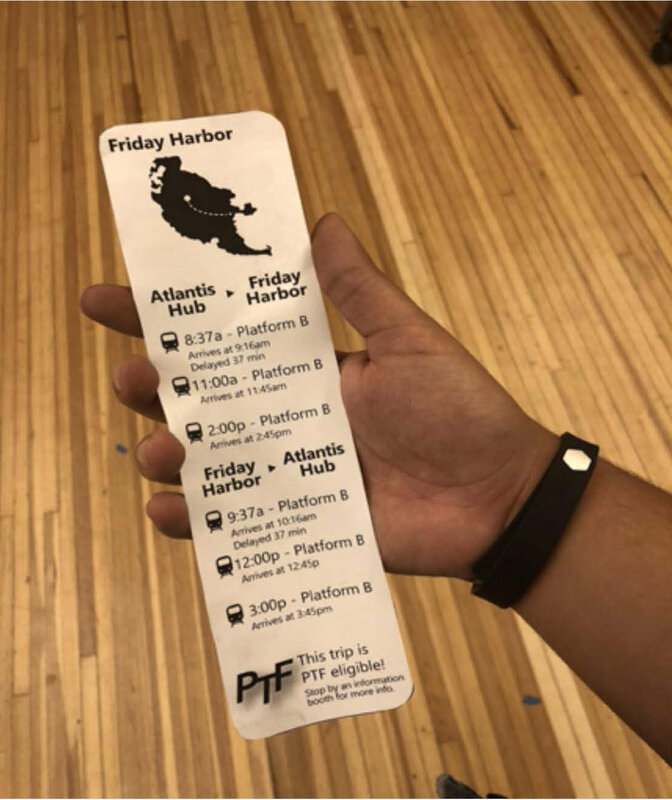 Once visitors see the destination they want, they can press the button and print out a schedule , for both outbound and inbound trips. If they are printing for a tourism event, travel information and coupons will be printed. On the end of each printed schedule, there will be a promoting message for the PTF pass to reinforce user’s awareness. On the other hand, the buttons help stakeholders to collect data —- how many user learn about each event from this display. 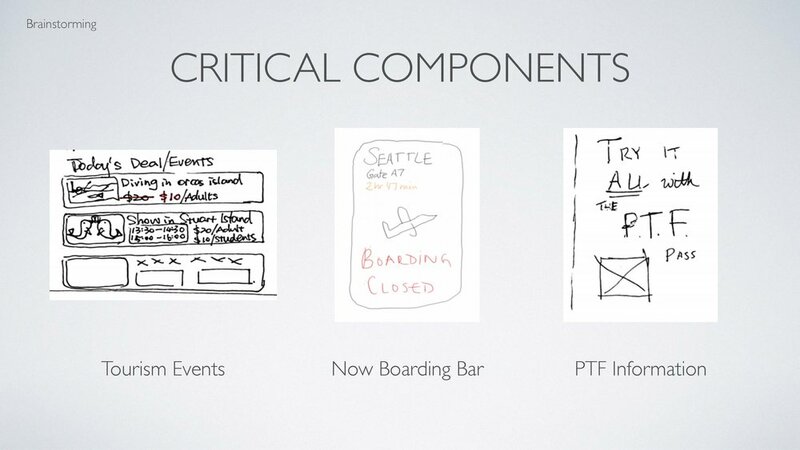 The stakeholder won’t directly interact with the display, but she is concerned about its usability, and the marketing of PTF Pass. Travelers are not familiar with the area. They are looking for vacation spots, and want a pleasant experience planning the routes. Business travelers have a tight schedule and know their destinations well. They want quick access and accuracy. We are given a set of working schedule of the Atlantis Transit Hub's flights, trains, and ferries to and from different parts of the San Juan Islands. Distinguish urgent schedule information with the normal one. Display the information to mostly accommodate visitor’s need. There is a lot more than what users would care. Smart grouping would reduce complexity. How important each information is depends on the specific user we are targeting. But there is a shared hierarchy. Departure + Gate = Action. Surprisingly, there are as many departures from the transit harbors as from Atlantis hub. And for either Hub or Harbor, there are only limited destinations available. 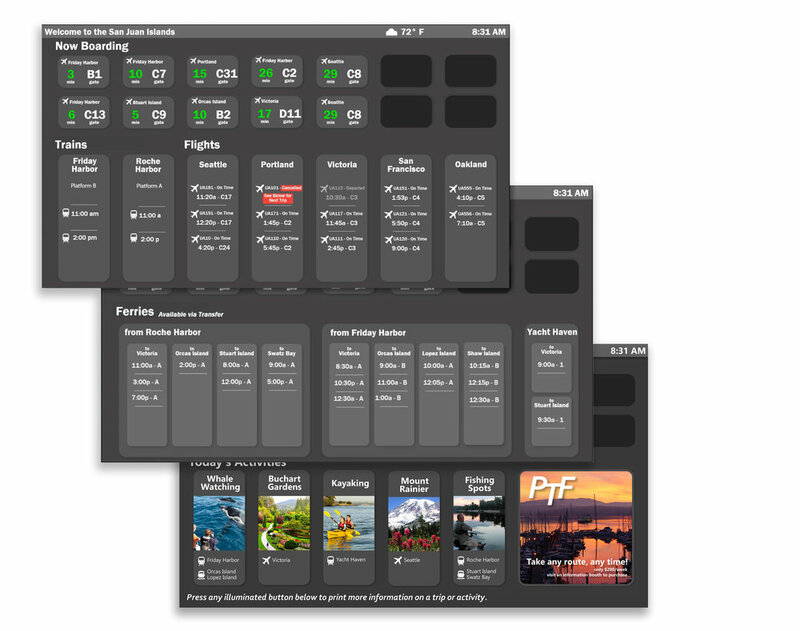 Group information by destination, and departure location. 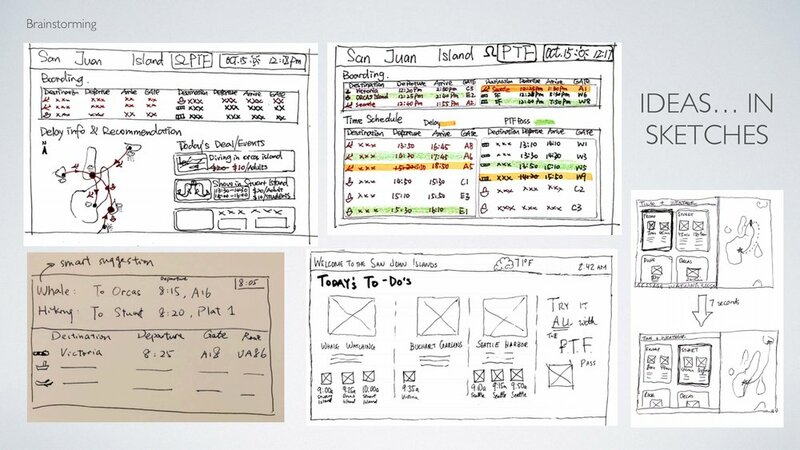 Prototyping the Information Architecture of Display. 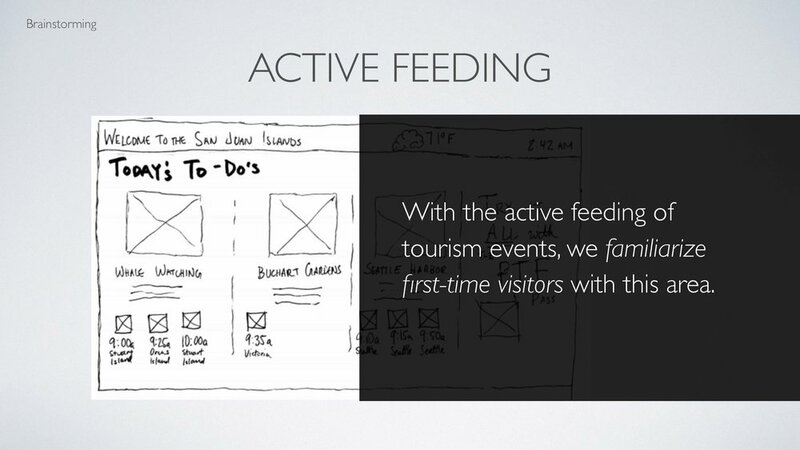 Highly Legible, tourism focused, neat interface, which also provides sufficient information.